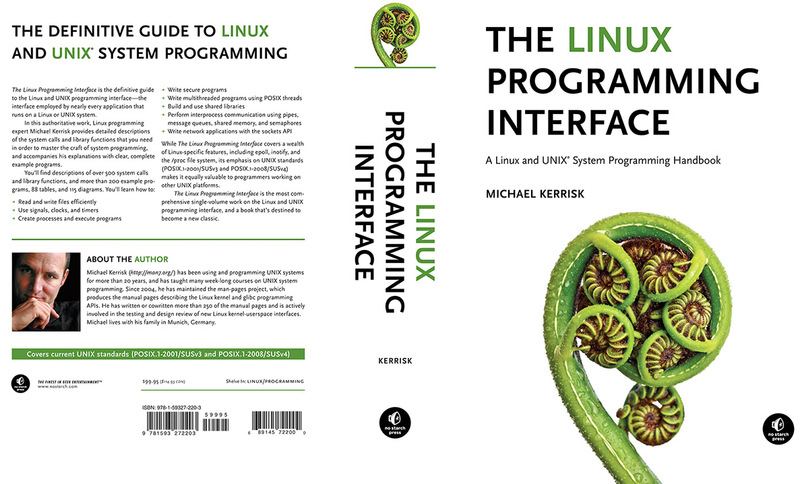 Michael Kerrisk contacted us for a cover photo for his new book. He’s very smart, and he’s a Kiwi doing good stuff in a far off land. Naturally we thought it great to have iconic kiwi image gracing his book cover and pitched a fresh fern koru image. Michael loved the idea, in terms of what the koru represented, the clean fresh NZ link, and the obvious fractals pattern association (you’ll need a big brain to understand that apparently). So here it is – a NZ connection to a new book on Linux Programming. Judging by the spine, she’s a tome and a half. Congratulations Michael. It was a pleasure to help add the finishing touches of the New Zealand connection. Want to see more stock photos of New Zealand fern korus? You're reading Kiwi with big brains doing good stuff at Nature’s Pic Images Blog.